Patients with kidney disease are required to undergo dialysis treatments on a regular basis in order to filter their blood. While healthy kidneys automatically filter toxins and waste products out of your blood, diseased or failing kidneys do not function like normal. Over time, waste and toxins begin to build up in the bloodstream, making the patient very sick. Without treatment, kidney disease can even be fatal. 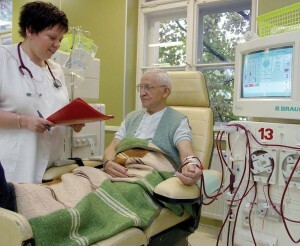 Dialysis is a lifesaving treatment where patients go to a hospital or dialysis center to manually filter their blood. Although necessary, the procedure can be tedious and taxing. Family members and caregivers should be prepared to provide additional help and support during and after dialysis treatments. A homecare system and homecare software like ClearCare Online can aid in scheduling appointments and tracking the side effects of dialysis. Caregivers can set specific daily reminders in their homecare system and homecare software for helping their senior clients cope with these troublesome side effects. Some patients with kidney disease have dialysis several times a week, while many undergo treatments a few times every month. 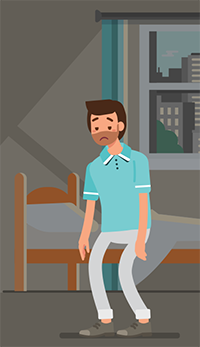 Regardless of how often you go, dialysis may leave you feeling poorly the majority of the time. Caregivers should watch for symptoms of depression and monitor their patients’ moods using ClearCare Online’s innovative homecare system and homecare software. Any concerns can easily be communicated to other caregivers, physicians, and family members using the messaging system within ClearCare Online’s homecare software. To combat nausea, seniors undergoing dialysis treatments may want to try anti-nausea medication. Most over-the-counter medications are safe for seniors, but check with your doctor first. He may also prescribe stronger anti-nausea medication if necessary. Low blood pressure is often the main complaint among dialysis patients, which can leave the senior feeling weak and dizzy. Proper hydration is essential to maintaining a healthy blood pressure. Caregivers, set your homecare system to remind you to offer 8 to 10 glasses of water to your senior clients every day. 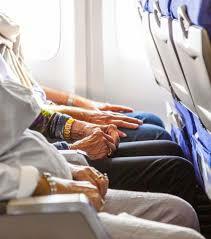 It’s also a good idea for seniors to avoid salty foods and prolonged sun exposure in order to fight dehyrdration. To avoid muscle cramping associated with dialysis, seniors should take regular walks to stretch their legs. Light exercise may help muscles to relax, and a heating pad can be used to reduce pain. Moisturizer should be used for dry and itchy skin. For severe dry skin, some patients may need prescription medication. Dialysis is a common treatment for patients with kidney disease, but it often comes with a price. If a loved one is currently undergoing dialysis treatments, prepare to be extra supportive. They may need daily assistance with everyday tasks from a qualified caregiver. Remember to look for a home care agency that offers ClearCare Online’s homecare system and homecare software for real-time updates and point-of-care transparency. What other ways have you found helpful for coping with dialysis? Drop us a line and let us know!